The Skechers D'lites Interlude drops today at our online store! This sporty women's training sneaker boasts a trubuck leather and mesh upper with a stitched design that's simply a delight to look at. 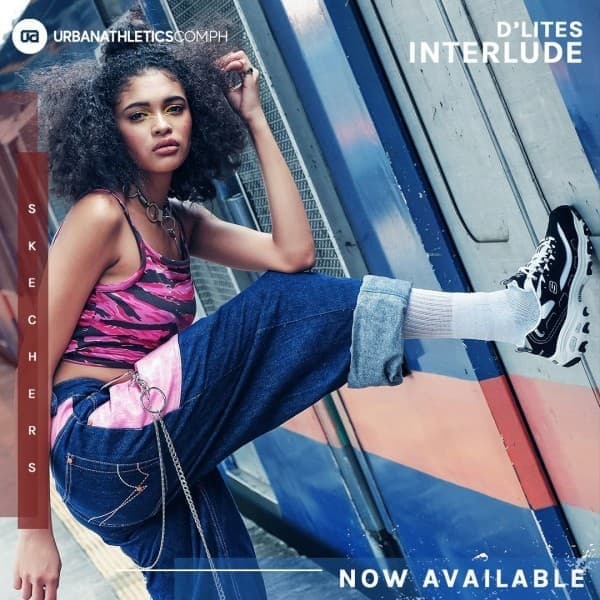 Get it first at https://www.urbanathletics.com.ph/products/sketchers-womens-dlites-interlude — Products shown: Skechers Women's D'Lites Interlude.